The Washington Capitals know they have a lot of work to do. Both teams expect to be at their best on Monday for Game 6 of the Eastern Conference finals at Capital One Arena with Tampa Bay holding a 3-2 series advantage and the chance to advance to the Stanley Cup Final to face the Vegas Golden Knights. The Capitals, a franchise haunted by the failures of postseasons past, are staring down another one heading into their first elimination game of this year's playoffs. In the conference era, which dates back to 1974-75, only two teams in 41 occasions have won the first two games of a conference final or league semifinal on the road and failed to win the series: the Montreal Canadiens in 1984 and Boston Bruins in 1991. "It's OK," Washington captain Alex Ovechkin said. "We're going to play better in Game 6 and we have [to] bounce back and come here and play a Game 7 and that's it." "We kind of had our backs against the wall a couple times this year in these playoffs. We can draw from those experiences," defenseman John Carlson said. "Just got to go out there and play hockey. That's what we do. Just all about upstairs and what you can control. I think if you stay in the moment like we have, we got a pretty good chance of winning. 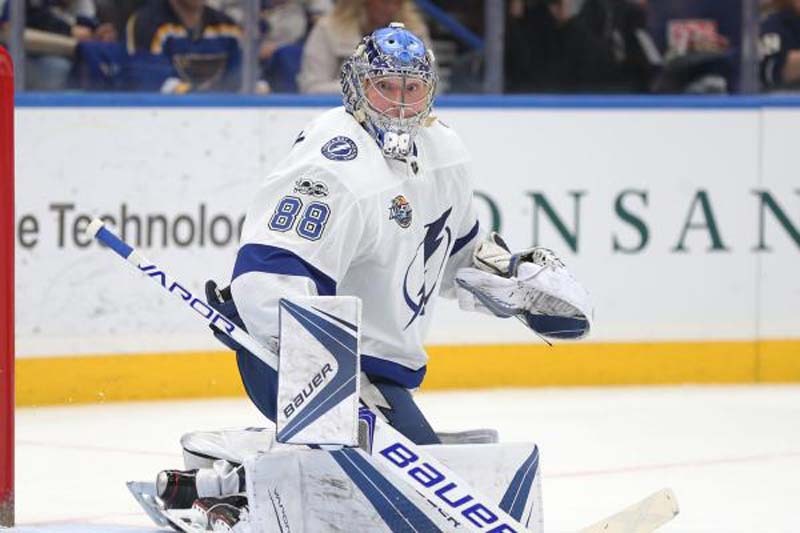 "We're going to have to match their urgency," Lightning head coach Jon Cooper said. "The closeout games, potential closeout games, they just seem to bring out the best in everybody. For us, we've had some success when we've gotten the lead. When you do that, you put a little pressure on the other team. Something we'll try and focus on [Monday] night."